Author, Entrepreneur Keith Teare Adds Punch to the Convergence ICO Advisory Board. Louisville, KY, February 24, 2018 --(PR.com)-- Convergence of 4 Dimensions, LLC announces Keith Teare as ICO (Initial Community Offering) Advisor. Teare, a founder at Accelerated Digital Ventures, is joining the advisory team of key industry leaders: Kevin Backus, Bernie Stolar, Kevin Williams, Jeffery Goddard, and John Canning. "The team at convergence oozes experience and quality," said Teare. "Cross platform real-time multiplayer gaming is the future. The ability to leverage all AR/VR and regular 2D and 3D platforms in a multiplayer real-time context is path breaking and breath-taking. This is a team that deserves backing." "Keith is the first technical advisor who insisted I was thinking too small about the scope and value of our ICO offering," said Andrew Prell, CEO of Convergence 4D LLC. 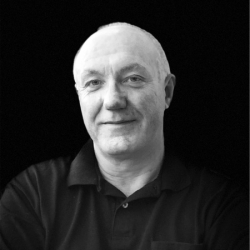 "Our ambition has always been to disrupt the gaming entertainment sector, and having Keith Teare on our advisory team bring that ambition is much closer to reality." Founded in 2014, the Convergence team are the Inventors of Cross-Reality (XR), creating the operating layer that will bring all AR/VR, 2D and 3D platforms onto one real-time multiplayer platform; building a community ecosystem that will drive the in-game virtual economy into the real-world lives of developers, creators, and players. Keith enjoys a deep history leading innovation cycles in Silicon Valley, as Executive Chairman at Accelerated Digital Ventures, a founding shareholder of TechCrunch and a co-founder at the Venture Network, ICO Advisor at ICObox, Ponder, Patron, Crypterium, R-Block and others.